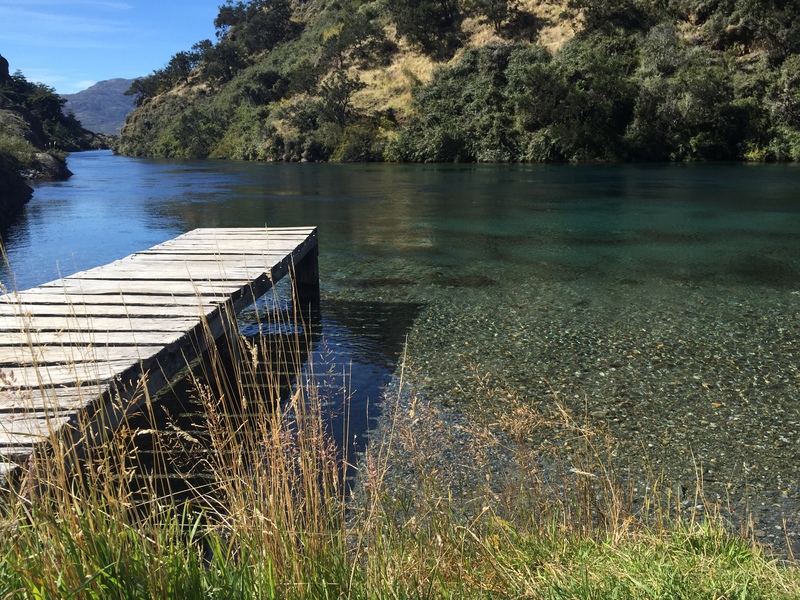 I started this beautiful road from the very beginning (or end) , in the south , after I crossed Lago O’Higgins with a boat from Candelaria Mansilla. After 7 km with a bus I got to Villa O’Higgins, a place I read much about and one of the reasons I trekked 23 km with all my stuff. I knew about many beautiful trekkings in the area and dreamed a lot about this place. I imagined myself taking a nap in the grass with the sun warming my body. But in the 4 – 5 days I spent there it rained almost all the time. Nevertheless the place is really beautiful. And I did a short trekking there because rain is not really melting. There’s no ATMs there but I was lucky and managed to make a deal with the girl from the boat I took from Candelaria Mansilla, she had a POS and took some money from credit card and gave me cash. So I had some money for a while.The hostel I stayed in Villa O’Higgins , El Mosco, is really nice and the people who run it are really helpful and know many trekkings.There’s only 2 buses per week and they go to Cochrane. But before going there I wanted to go to Caleta Tortel. Midway to Cochrane is an intersection and from there are 22 km to Caleta Tortel. The driver of the bus stopped once and showed us salmons swimming up the river. That was a first for me. After sailing the Pacific the salmons were swimming up the river to get to a mountain lake where they will lay eggs and die, there, in their birth place. Going to Caleta Tortel I met a chilean couple, they were going there too. So here we are, all wet, raining heavilly, hitch hiking with all our stuff for 2 hours because there aren’t many cars and the few that were passing were full. We found shelter under a bus stop foyer where one day others in our situation wrote “dedo o baricada” and we laughed thinking we will sit in the middle of the road to make cars stop if needed. When one car stopped and driver said they have only one seat available in the car the couple decided I should better go first. Got quite fast to Caleta Tortel and went to informations to ask about a tour either to glacier or to Isla del Muertos and to ask about a recommendation for hostel. It didn’t went very well. She couldn’t recommend anything but showed me a book with options. And about the tours she said is shoulder season and there aren’t many tourists, so I have to find a group and then call to the boats, because she has only private phone and cannot call. Alone it would have been too expensive. I went to find a hostel in the rain and stopped to a guesthouse I remembered from the book. It was very basic but I was supposed to stay there only one night so it was fine. Did’t had much money left, only one night of food and accommodation , and no ATM until Cochrane. I went for a walk, the place is very nice, there are no streets, just wooden bridges and wooden ladders. It’s quiet and peaceful, and it’s UNESCO Patrimonium for it’s uniqueness and the foyers made from wood. The experience with the guesthouse was quite weird, I was the only tourist there, it was cold and I had rain in every pore after a week of rainy weather. The woman there was quite weird, but maybe my spanish wasn’t that good. Next day I checked out and read in the sun for 2 hours. It was such a nice, warm and happy sun. At the time of going with the bus they said they have to wait for few more people, and that proved to be a bad moment for me, although I found it later. When I arrived in Cochrane I noticed I’ve been robbed. But by the time I noticed and said about it everybody left. The bus was small and didn’t had designated space for luggage, therefore everything was on the backseats and everybody was with the back at their luggage. When we waited for some people I went outside to smoke and some other people joined me. It was only a local woman with her kids there. That’s the only thing that comes to my mind as what had happened. They took the cover from backpack, unzipped the vertical zip, took whatever was closer, zipped and put cover back. I went to the police in Cochrane but they said is useless. So I just had to forget about it. I was so unhappy with myself because of being robbed, and only thought about it. But there’s the beautiful Tamango National Reserve very close to Cochrane. I trekked 26 km all alone and by the end of day I convinced myself to let go. It could have been worse and I will be more careful the next time. And I cannot change anything. 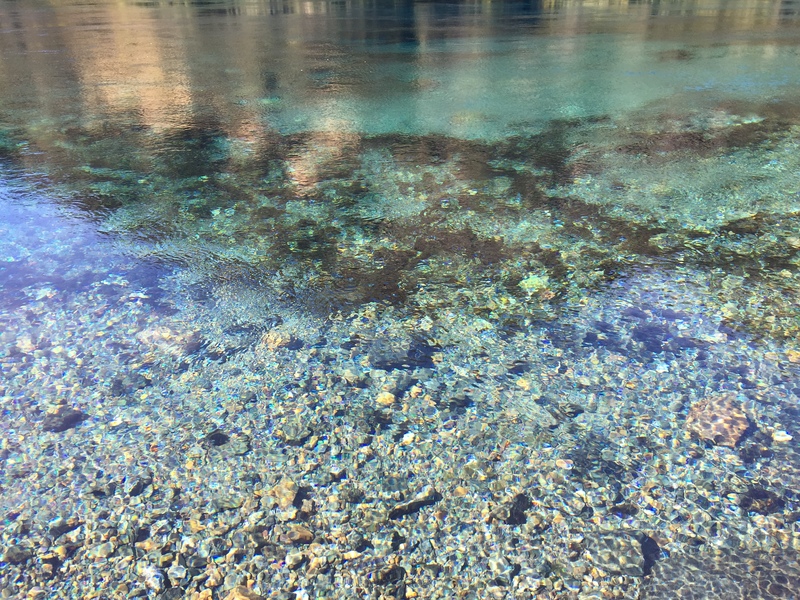 I saw there the most clear water ever. A chilean guy from the hostel gave me the cable I needed to charge the bateries from my camera. He was my hero. It would have been so difficult to find that cable and for sure not sooner than Santiago. There’s another nice trekking close to Cochrane but again couldn’t go because you need a car to drive you for 50 km and pick you up after 2 days. Alone was too expensive. And there wasn’t any place to rent camping gear, but someone offered to borrow, so that could have been solved. Decided to move north, to Puerto Tranquillo. The drive to there is maybe the best one I had, the landscapes are so beautiful, all mountains, lakes, forests. 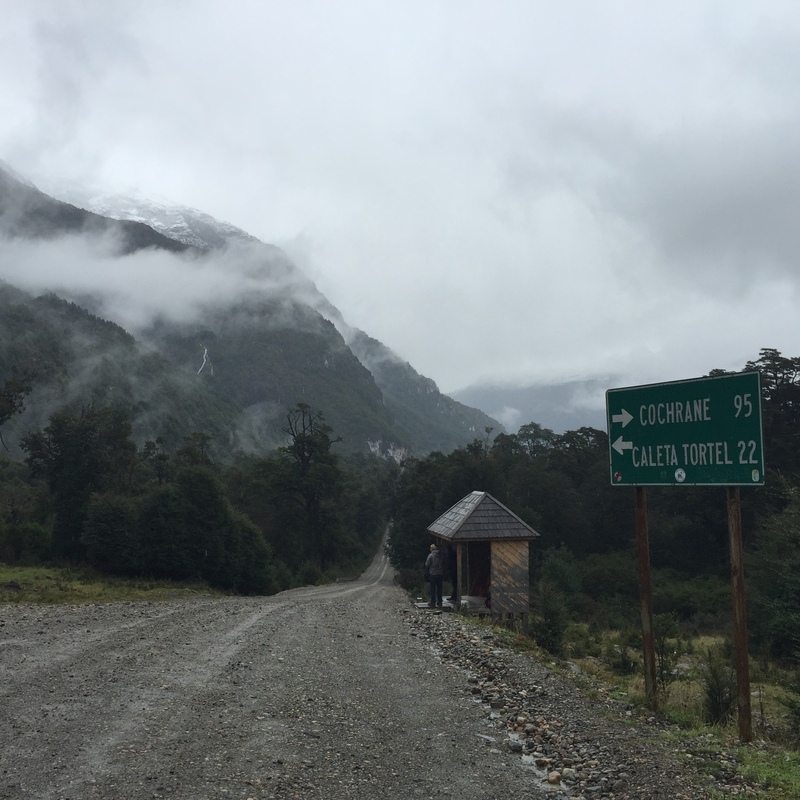 The Lonely Planet guide says Route 40 is a must in Patagonia, I say Carretera Austral is a must. 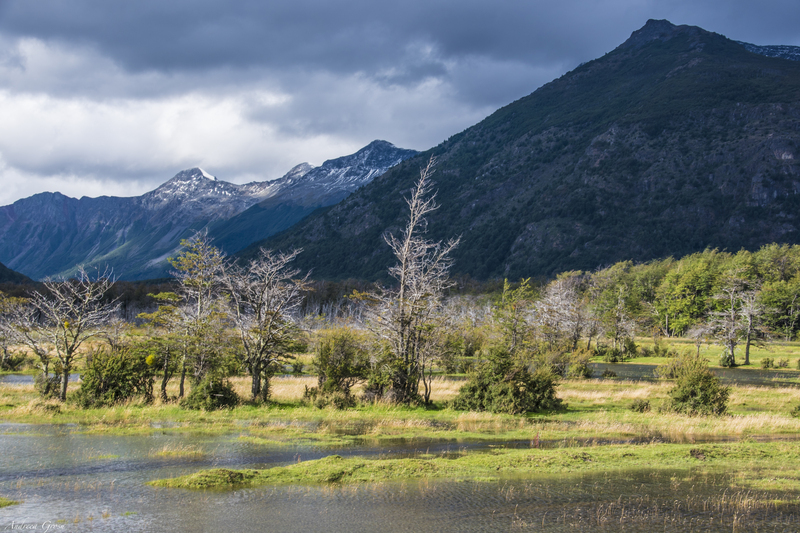 Route 40 in going through steppe but Carretera Austral is in the most beautiful part of Patagonia. After quite bad accommodations and many cold showers I went to the nicest hotel in Puerto Tranquillo, not very expensive and anyway only for one night. 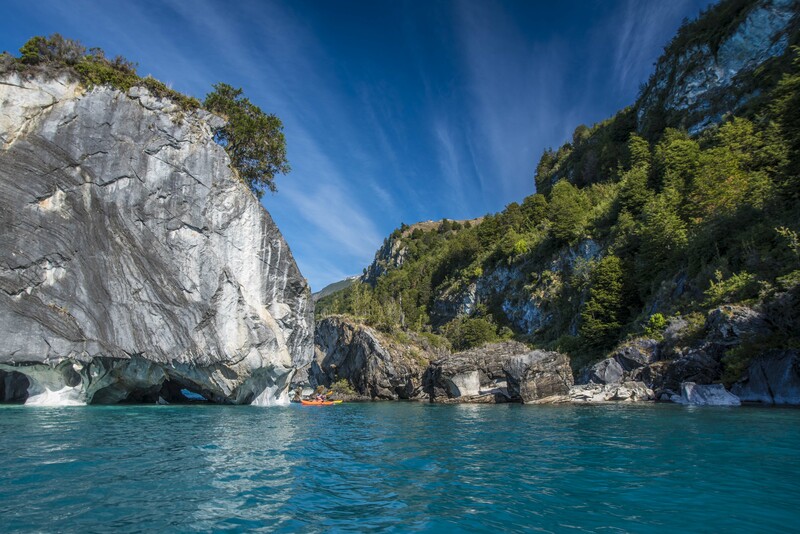 The trip to the marble caves was so very nice but I think is better to go there with a kayak, you can spend more and better time this way. 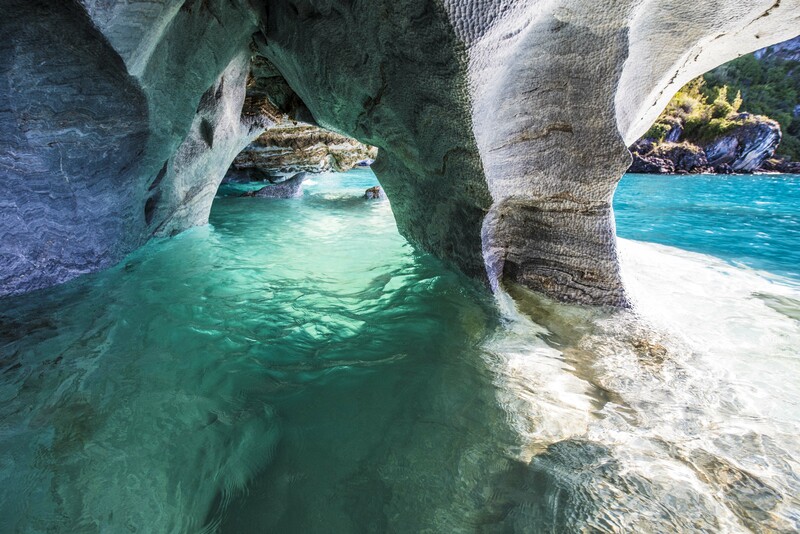 After the marble caves I wanted to go to a place supposed to be very nice and you can do a nice trekking. I tried to hitchhike for a while but I gave up and went to have lunch. I spend my evening reading near the river. 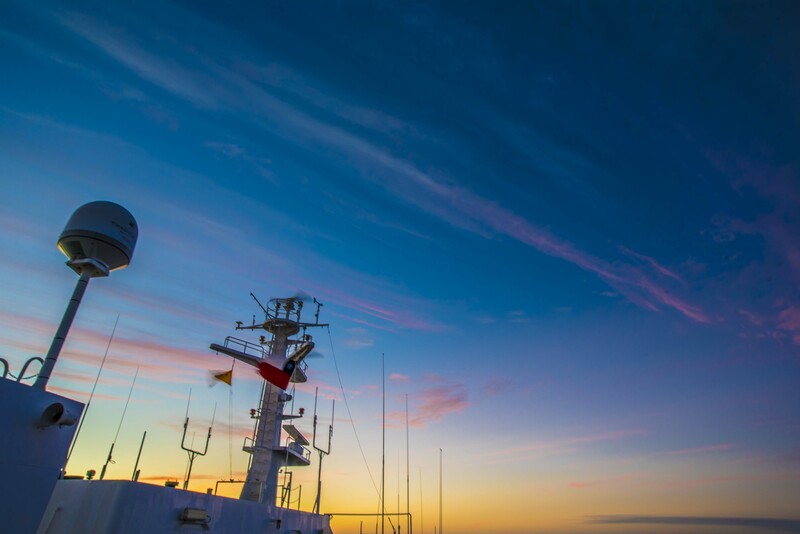 The weather was fantastic. At night I saw one of the most beautiful and clear skies and felt a bit sad because I had a tripod with me which I couldn’t use because when they stole from my backpack they took also the mount of the tripod and that’s not a very easy thing to find in Patagonia. I waited next day for the bus to go to Cerro Castillo from 11 to 12 and when it got there it was full from Cochrane. So I had to hitchhike for hours, gave up, went to buy something to eat and the lady from the shop called someone and sent me to a hostel where a guest was going with his private car to Coyhaique. Went there and the guy was nice enough to offer me a ride, bit skeptical at the beginning but convinced after he heard I’ve been robbed. Although I wanted to stop in Cerro Castillo for trekking I had to change my plans again and go to Coyhaique because the village seemed deserted, no information office, no place to rent equipment, no tourists. In Coyhaique I went to the national reserve close to town, nice but not impressive. 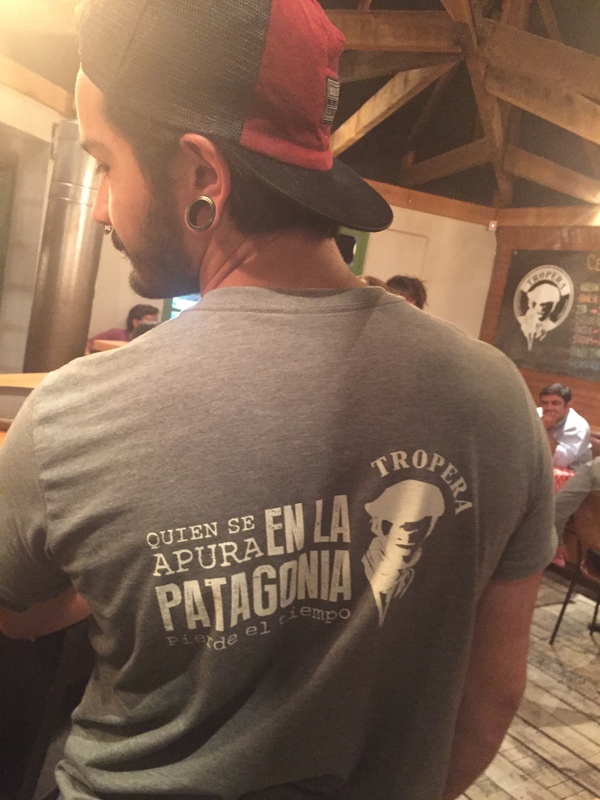 At the bar all the bartenders had t-shirts saying in spanish something like ‘it’s a waste of time to rush in Patagonia’ : “quien se apura en la patagonia pierde el tiempo”. It sounded so true, I had a good laugh and decided to reorganize and take it slow. My last destination on Carretera Austral was Puyuhuapi. Although is famous for the thermal baths I just let them for the last moment and then found that I don’t have time for it, and also I’m not the biggest fan of thermal baths. You can get there with a bike, I know people who did it and it was nice. 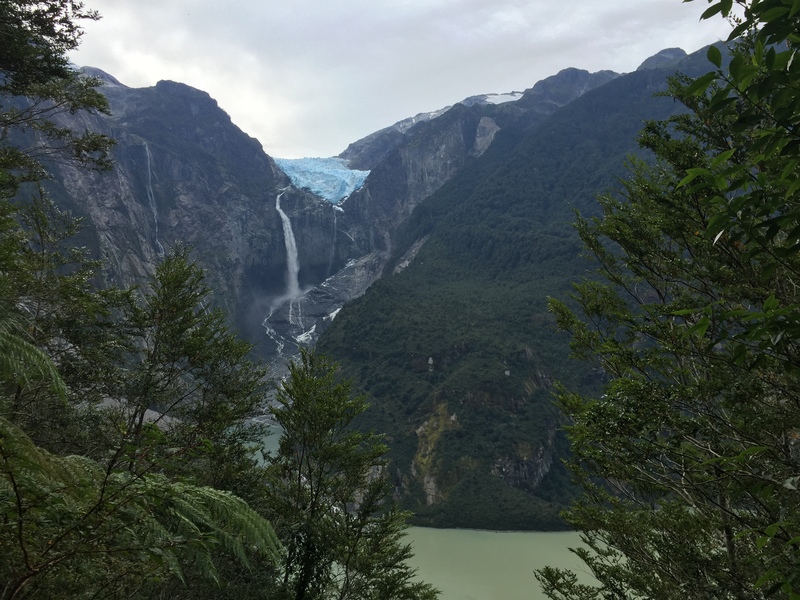 Instead, I went to the National Park, trekked a bit and saw a very nice hanging glacier. Another day I rented a kayak and that was an adventure. All started nice, weather was fine, we saw dolphins, but on the way back the weather got bad, sky was grey, wind was fast and lake had big waves. Although I panicked a bit and kept saying “it’s not safe” at one moment started to rain and waves got down and we finally got back to the town and had a good laugh about the adventure during the dinner. 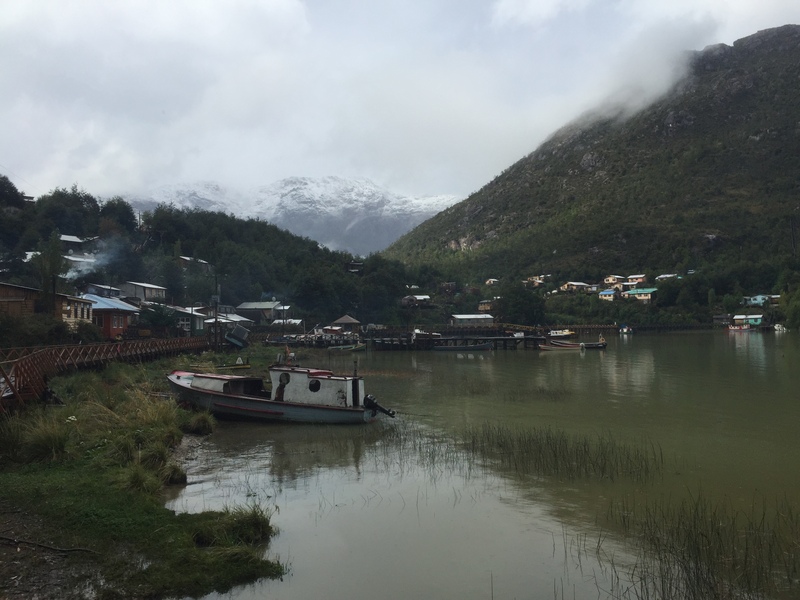 I went back to Coyhaique for 2 or 3 nights because I had reservation on a boat from Puerto Chacabuco to Puerto Montt. The whole time I just relaxed on the hammock and read. 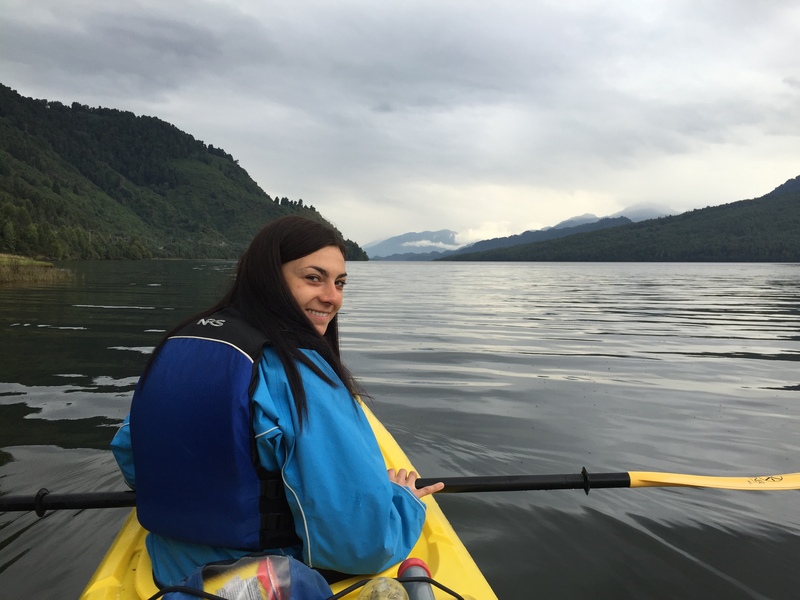 The trip on the boat is better on the other way around, from Puerto Montt to Puerto Chacabuco, there are fiords to be seen but on my trip we passed them during the night. People were very happy with the food but didn’t liked it. Also, I had the cheapest ticket on the boat and my bed was literally on the hall. So I would recommend a better bed/cabin. I heard many good things about this trip but my experience was a bit disappointing. If it wasn’t shoulder season and if it was less rain I would have kept going north on Carretera austral. And that’s the same reason for skipping Chiloe. But one day I’ll go back, in better weather and maybe with a rented car.